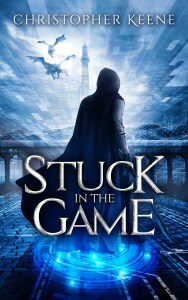 This entry was posted in Announcement, Dream State Saga, LitRPG, Novels, Stuck in the Game and tagged Back in the Game, Book Launch, LitRPG, Stuck in the Game. Bookmark the permalink. Congrats and hope all goes well with the sales. Thanks to everyone’s help, it just might. Thanks a bunch! Awesome! I’m almost done with the first book. Then I can write your review! Fantastic, you’re one of the few lucky ones that doesn’t have to wait after the twist ending/cliff hanger lol.